Do you use social bookmarking sites? Have you used them to get traffic to your business blog? Social bookmarking sites have been around for over a decade. They can prove to be an effective method at getting your blog content seen and shared. In fact, most viral sharing begins on sites like Reddit, Delicious, StumbleUpon and Digg. Wondering how you can get more out of social bookmarking sites? That’s why I put together an ultimate guide to using social bookmarking sites to drive traffic to your blog. Use the tips and tactics to get your blog on the map. Social bookmarking sites started in 2003, with Delicious. There’s now a variety of of these sites, ranging from the highly popular ones (like Reddit and Digg) to more niche sites like Squidoo. There’s even newer types of social bookmarking, such as Pinterest’s recently rolled out Article Rich Pins. Each site has its own kind of culture, folksonomy ( based on their own metatag/ hashtag vocabulary), and methods of engaging (like voting up or down the quality of content, how articles are shared, and so on). With all the developments in social sharing, social bookmarking might seem a bit old school as a method to share your content. The average click-through rate is very low (about 0.1%). At the same time, most viral campaigns tend to start on the top social bookmarking sites ( Reddit, Digg, Stumbleupon, and Delicious). Why? Social bookmarking sites are populated by communities of the internet “connectors”. So, if your business articles fit with the techie crowd, learn how to use ‘em, and your article just may be the next big story. If not, stick with the more popular social sites. As I mentioned, each social bookmarking site has its own culture and folksonomy. There are, however, some basic, common practices that need adhering to. To benefit from social bookmarking sites, you need to spend a few hours exploring the sites. Check out the popular and trending content. Read the content, and analyze what fits with your business blog. You’ll notice there’s lots of tech type content, funny images, controversial videos, and other kinda crazy stuff. If you can make this work with your content, take it to the next level. Warning:_ Set your time limit and stick to it. You can waste endless hours (um, even days) spiralling down the cat photo rabbit holes._ Time you’ll never get back. Pinterest- I’ll throw in Pinterest’s new Article Rich Pins. It’s Pinterest’s intent to create shareable articles, by encouraging users to make article Boards. Other, more niche sites include diigo.com, Blinklist, squidoo.com, and Bundlr. When you’ve done your sleuthing, and you’ve got a feel for the sites, make a profile for your business. You can use your personal profile, too. (Be human.) Update your bio to include where you’re working/ your website. On Stumpleupon , for example, sign up with your Facebook account, or through email. Then, choose your interests. The more granularly you choose, the better your experience on the site, as it learns what you like. Most social bookmarking sites have the same process. It’s not hard. If you’re going the business profile route, include a succinct company bio, and your website. Also include your business logo, or your face (to make your profile more personalized). Make it interesting - this is how people are going to judge your first impression. Upload a few bookmarks to give your profile personality. Your bookmarked sites will give others (and the the site algorithms) a better understanding of who you are, what you like, and if they’re going to like your content. your business niche, find your industry leaders. your Friends and Followers on other social sites. Followers of your new Friends, and Follow people you’re interested in. Most sites give you suggested people to Follow, too. Go through your suggested Follow list, and assess people profiles. Connect with those that really fit with your business. Get noticed by your network. Engage by sharing, voting for and commenting. Be interested and be interesting when commenting. Don’t just spam and post links back to your site. This is so frowned upon, it makes me sick to even mention. Be the guy (or gal) who’s cool and authentic , and you’re on the right path to developing your reach. And if you really don’t get this, read the site’s guidelines before you start to engage. 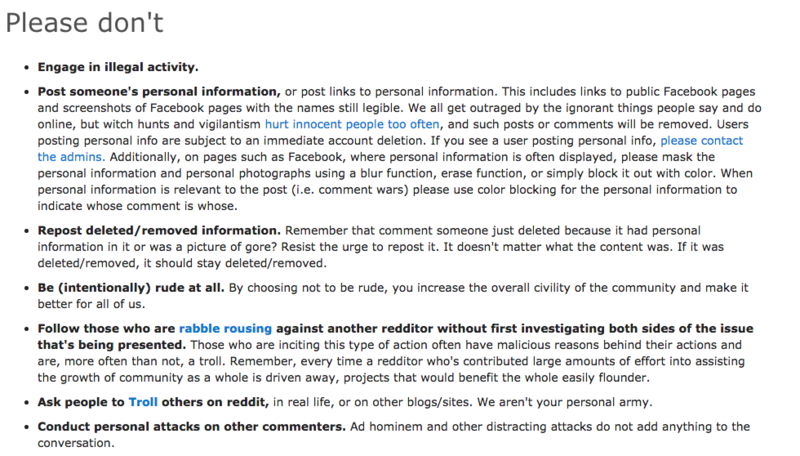 These sites are very strict about what you can and cannot post. Reddit also has scores for the quality of your every activity. Comment well, and often, and you’ll gain respected karma. Post links to your articles on your social bookmarking profiles. Note: If you have both a business profile, and a personal profile, don’t post the links twice. Choose one profile to use. 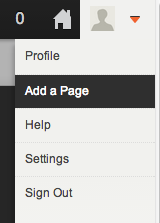 On Stumbleupon, post your articles, photos, videos etc. by Click on “add a page” from the upper right hand drop down menu. Give the details about your website, and include good tags. Tags are what gets your posts seen by a lot more people (I’ll talk more about them in the next section). Most sites have a similar process to post your articles. Social bookmarking sites were the first online sites to use tags. Delicious pioneered their use as a way to sort, find and search. They’re based on metatag data, and they are a key feature on most of these sites. You know tags today as hashtags, or even keywords. Like most social sites these days, tags have a particular site specific vernacular. 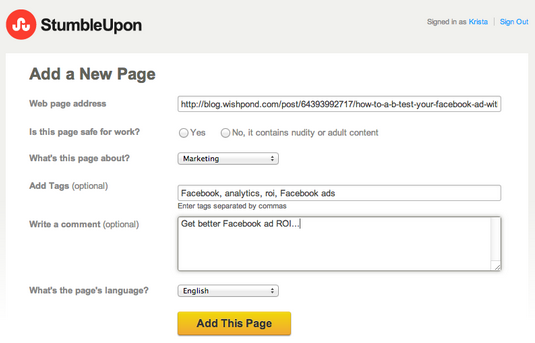 You really need to play around on the sites to find the best tags to use for your content. 1. Use tags that are relevant to your articles. Here’s a an example of tags used for an article on Pinterest. Leo uses “Pinterest, socialmedia, article, branding, and nonprofit” to get found by people searching for these topics. 2. Use tags that are relevant to your niche. Without a great title, no one’s going to read your stuff, let alone share it. If your goal is to make a front page post, your headline can make or break you. Remember: Your article view count is competing with millions of other articles being posted everyday. Not only that - but you’ve got competition with the best content writers in the world - including pros like Mashable, Buzzfeed, the Next Web, and even the New York Times! Spend time to perfect your headline. Then rewrite it 10-15 times. Keep your headlines short and intriguing. Make headlines that are: controversial, unbelievable, numerical, questioning, relatable, and so on. Check out Brain Clark at Copyblogger site for more magnetic headline tips. Just like the headline, your posts’ image can be even more valuable in getting you eyeballs. This is particularly true on social bookmarking sites. Create memes. These are some of the most shared images on these sites. Make and post cool infographics. Be a genius with Vine videos and make hilarious stop motion summaries of your articles. To find photos, check out: Flickr Creative Commons, ShutterStock and iStockphoto. To create your own images, use tools like : Photoshop, PicMonkey, gimp, GIFMaker.me, IrfanView, Vine, Instagram and loads more. You know the odds are stacked against you. On social bookmarking sites, you’ve got a 0.1% chance of getting your link clicked through. If you want to make a viral campaign, well, it’ going to take a LOT of effort and smarts on your part. And the reality is that most viral marketing campaigns get viral due to offline marketing. But, you can see the results of viral campaigns on social bookmarking sites, do I’ll touch a bit on viral campaigns. 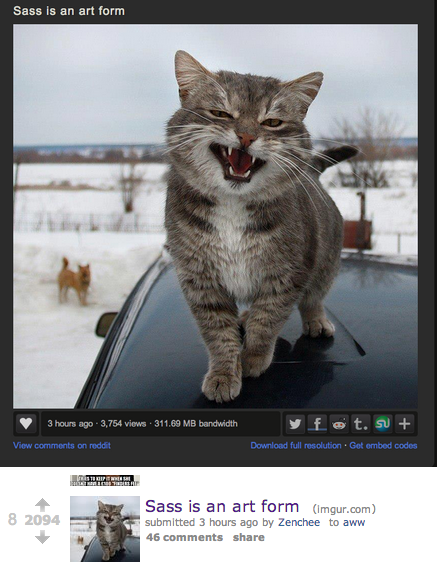 Here’s a cat image that went viral on Reddit. In 3 hours, it’s gotten 3,754 views, 2,094 votes, and 46 comments. In 4 hours, it had over 11,000 views. You might have read articles that profess to tell you exactly how to make a post go viral. In honesty, though, it’s kind of impossible to know exactly how to make a viral campaign. And the chances of replicating one - well, unless you’re a viral marketing pro, that’s even less than 0.0001%. Here are a few good practices to give your article post a viral chance. You’ve developed good karma on your sites, right? Now’s the time to put it to use. By making the effort to develop your network, reach out to industry leaders, comment on followers’ posts, share lots of other people’s content, and generally done all the super cool stuff you need to do to develop a great, solid network, your posts will likely get lots of views, shares and comments. This is the first step to making a viral campaign through social bookmarking. use your real offline network to spread the word, too. If 200 people bookmark your site in 10 minutes, you’ll spiral up to a lot more views than if it takes a day to get those 200 bookmarks. Hit fast and hit hard to snowball a viral campaign. The faster it gets views and comments, the more chance it has to make the front page, which in turn will get you more views and comments and so on and so on. Make your posts useful, emotional and tuned into your market’s mass psychology. Yes, these words are easy to say, but not easy to do. But if your image, headline and article can all hit the right buttons for your market on social bookmarking sites - it will go viral. Read more about viral marketing campaigns from Jonah Berger’s latest book, Contagious. This should go without saying: don’t spam on social bookmarking sites. Don’t be a total jerk. Don’t overtly use them for link-building. Etc. Etc. Etc. 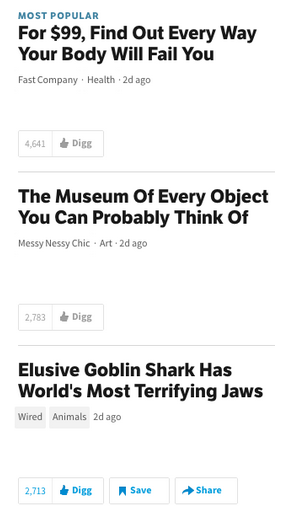 You need to post a lot of articles before you get a viral hit. But don’t bombard your followers feed with your stuff all day long. As mentioned, most social bookmarking sites have their own etiquette and guidelines. Read them, and adhere to them! For example, don’t get into unscrupulous tactics like creating fake accounts on the site, just to bookmark your content. Most social bookmarking sites will shutdown your account for these activities. It could even damage your offline reputation as a result. Like any good social media marketer, you need to monitor your results. And you need learn from what you’re doing well, and what you’re doing wrong. Social Media Add-On for Firefox - gives you vote counts on social sites like Digg, Stumbleupon, Delicious, Reddit and more. OnlyWire - lets you automate your social bookmarking site updates, and gives you analytics for them. bit.ly - track your CTR’s with this link shortner site. Your blog analytics - check your metrics on your wordpress, blogger, google site, or whatever platform you’re using for your blog site. You don’t need to obsess over every metric. Learn from what posts work, what don’t, and alter your tactics to get more traffic. Now you have a good introduction to what social bookmarking sites are, and how you can use them to drive traffic to your blog. Your business could benefit from adding them to your social media marketing strategy. Check them out, use these practical guidelines, monitor your results, and assess the ROI benefits for your business. What do you think? Have you used social bookmarking sites for your business? What successes have you had? What tips can you offer? Do you think social bookmarking would be of value for your business?